JAPAN NIGHT – MOVE WITH THE MUSIC OF JAPAN announces its first London shows taking place on 10 & 11 July bringing the best talent from Japan to us here at Indigo at The O2. The two fabulous shows coincide with Hyper Japan, which will be taking place on the same dates in The 02. JAPAN NIGHT was initially held in 2014 as the last music event at Kokuritsu Kyogijo (National Olympic Stadium in Tokyo), welcoming leading Japanese artists including L’Arc-en-Ciel with the theme “Move with the music of Japan”. The new show will bring us both fresh and established talent with a strong line-up that will culminate in a performance from the fantastic VAMPS truly not a performance to miss. “We are proud to be chosen as the promoter of the 1st JAPAN NIGHT in London and we will make sure that this will be a memorable concert for all Japanese music fans in London!” said Rob Hallett, CEO of Robomagic. 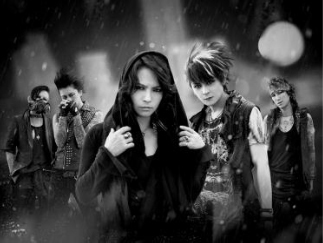 Formed by HYDE from L’Arc-en-Ciel and K.A.Z (Oblivion Dust) in 2008, in the 7 years since their formation, they have played a total of more than 350 live shows both in Japan and internationally. Well known for their signature “take-over” style live shows at the ZEPP venues throughout Japan, the duo continue to play a vast variety of shows, including arena venues, outdoor gigs and their famous annual Halloween Event. Officially started in 2007, the band has released four albums and successfully sold out all of their tours. Despite being independent, their single and album releases have all charted in the Oricon top 10. 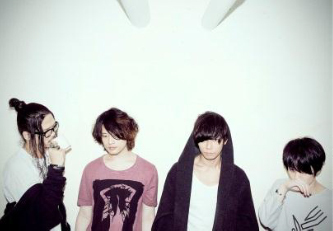 [Alexandros] have opened up for bands like MUSE, PRIMAL SCREAM, and KASABIAN when they have played in Japan. Recently, they have played overseas at “SXSW” in the U.S., “THE GREAT ESCAPE” in England, and “one-man” concerts in Taiwan. They sold out their first Nippon Budokan solo show, the day tickets went on sale. The band continues to headline festivals all across the country. A four-piece rock band of junior high school classmates. The band name and the members’ names come from avant-garde artist Taro Okamoto and the legendary punk band Ramones, both of whom they highly respect. In 2014, the band celebrated their 5th debut anniversary with a commemorative album, which was a collaborative project with a spectacular list of artists such as RIP SLYME and Tokyo Ska Paradise Orchestra to name a few, and with a tremendously successful concert at the Hibiya Open-Air Concert Hall in Tokyo in the fall. 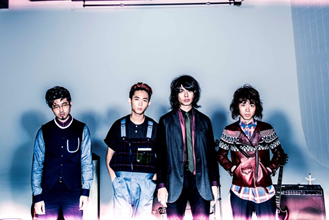 OKAMOTO’S is the leading figure among the young bands on the Japanese music scene. 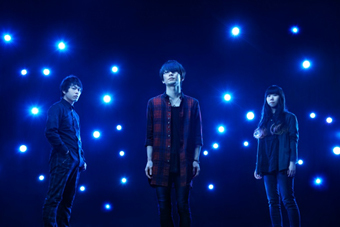 Trio rock band, Ling tosite sigure are making a great breakthrough in Japan at the moment. They don’t make many media appearances but word of mouth about the bands live performance is a key factor in boosting their popularity. Not only their remarkable performance, but the bands signature sound is also uniquely appealing – sharp and tough guitar sounds, male-female intertwined high-pitched vocals, strong and steady distorted bass sounds, hard drum play, and progressive beats weave together to make exquisite music. The band released their “Best of Tornado” album and the latest single “Who What Who What” on the same day in January 2015. “Who What Who What” was used for “PSYCHO-PASS: The Movie” as the title tune.